Available in paperback & eBook. Surviving alone on the desert Plains as long as she can recall, Reanna is saved from a mortal wound by the king of a neighboring country. But while she seeks to take advantage of the new situation, Reanna realizes that these strange people know more about her past and heritage than she does. Who is she really? Why do they believe she will help them win a war with the tyrant to the south? 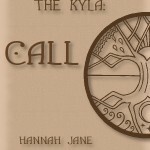 And what is this mysterious Kyla they want her to find? Enamored with the king’s son and accompanied by one member of her race, Reanna undertakes a journey that will challenge everything she believed about her life, the past, and the world. Having completed her training at Dolain and surviving Molek’s invasion, Reanna once again finds herself alone and pressing toward Solkar through worsening conditions. Only her determination and the memories of lost loved ones guide her. 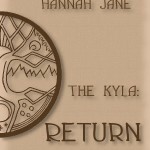 As Reanna speeds closer to the Kyla, the world’s water, Molek, and her destiny, new and very strange friends emerge to give their aid. Descending into the underground realm is not what she expected. She becomes even more unsure of where she belongs. And while the fate of Mycar and the Plains rests on her, Reanna has a choice.